Camping, shopping, museums, a historic downtown district, amazing cafes, kayaking & canoeing, hiking nature trails, enjoying live theater performances, as well as Kerrville’s amazing year round weather makes it a popular destination for thousands of visitors each year. A growing interest among people choosing the Texas Hill Country for their weekend, or week long, get away seems to be enjoying the experience of sitting back, sipping on a cold beverage, and listening to a variety of live music options. Whether it is the twang of a sad country love song, the soulfulness of jazz, heart pumping rock, or shoulder swaying, hand waving Texas Country music, Kerrville has something for everyone’s taste. There’s nothing more relaxing than to sit outside at the local winery, overlooking the valley below, and listening to the touching and emotional vocals of a jazzy-blues duo on a tranquil Saturday afternoon. If boots, belts, buckles and kicking up your heels is more your style, Kerrville has an array of venues and hot spots that visitors can choose from. On any given Friday and Saturday evening, guests and locals can be seen mingling on the patios, dance floors, and on the bar stools of places such as the legendary Crider’s Rodeo & Dancehall, The Ridge Marketplace, the Ol’ Waterin’ Hole, the Lazy Days Canteen at Roddy Tree Ranch, The Inn Pub, the River Rock Saloon, or The Elm Waterhole Saloon at the YO Ranch Hotel & Conference Center. Azul’s Lounge even provides people with the experience of an underground, speak easy atmosphere that transforms us to an earlier, exciting era…and offers an eclectic choice of music performances. Visitors, who used to think that Kerrville was an early-to-bed kind of town, or that they had to travel elsewhere to get their live music fix, are being pleasantly surprised by what they are finding. We encourage you to check out our website for an updated list of events and venues, as well as each of their websites, Facebook, and Twitter. There is always something new, exciting and fun happening in Kerrville. We look forward to seeing you. Kerrville has become a cultural mecca for artists of all genres. Music lovers have a number of opportunities throughout the year to enjoy and experience a variety of performances. 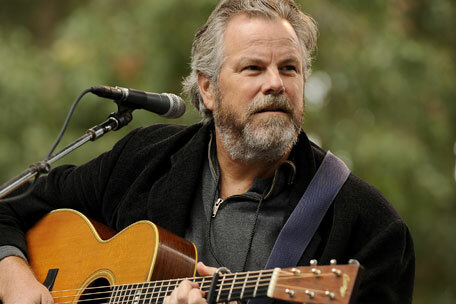 Every year, beginning Memorial Day weekend, thousands of visitors flock to Kerrville to enjoy eighteen straight days of music at the Kerrville Folk Festival. Labor Day weekend offers a three-day condensed version of the festival, coupled with wine-tasting, crafts, food and camping, at the Kerrville Fall Music Festival. The Symphony of the Hills delights patrons four times a year, and many of the local cafes, wineries and clubs are showcasing live music on the weekends. The Kathleen C. Cailloux Theater, and Playhouse 2000 are sites of popular year-round performances, both theatrical as well as musical. Branson Style Entertainment/Concerts, such as Mel Tillis, Michael Martin Murphy, and Ronnie Milsap, are frequent entertainment options for visitors and locals alike. Art enthusiasts have several options, as well. The Museum of Western Art showcases rotating collections of the nation’s most well-known western artists and celebrates the memories of the Old West. Kerr Arts and Cultural Center (KACC) features paintings, jewelry, sculpture, drawings, ceramics, gourds, pottery, glass art and more, with new shows monthly. Kerrville is also home to a multitude of private galleries, such as River’s Edge Gallery, The Copper Cactus, and the Winters Gallery.A visitor favorite is The Coming King Prayer & Sculpture Prayer Garden, with its focal being the easily recognizable “Empty Cross.” Schreiner Mansion, originally the home of Captain Charles Schreiner, offers museum visitors a glimpse at what life was like for an affluent family during Kerrville’s early days. 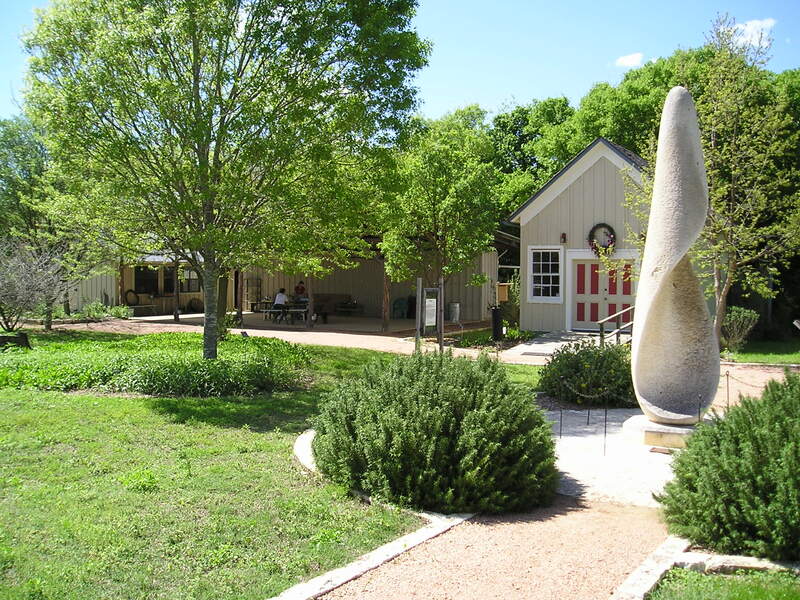 The exhibits at the Hill Country Arts Foundation and the riverside setting of the Point Theater round out an enchanting cultural experience for visitors.Kerrville’s Schreiner University adds another dynamic to the community with its fresh, contemporary and upbeat cultural concerts, exhibits and presentations. Enchanting downtown shop windows are filled with items that seem to beckon visitors inside. Once you walk through the doors, you can’t help but notice the architectural details that hint of another time. Vintage surroundings seem to lend the perfect backdrop for the unique home goods, high-end clothing, jewelry, and merchandise ofSchreiner Goods, as well as the exotic draperies, fine linens and bedding that can be found at Country Chic. Antiques, contemporary galleries, Cricket’s, resale shops, the Erica Rose Boutique, as well as a number of unique to the area stores, line the streets ofKerrville, with its old world charm. The famous silversmith, James Avery, has his headquarter’s inKerrville and his campus is a must see when you’re in the area. Browse their retail showroom, or sit outside on their patio and enjoy watching the wildlife that calls the compound home. Historic Old Ingram Loop, once an old west town complete with stage-coach stop, is home to over two dozen shops, galleries, and dining. 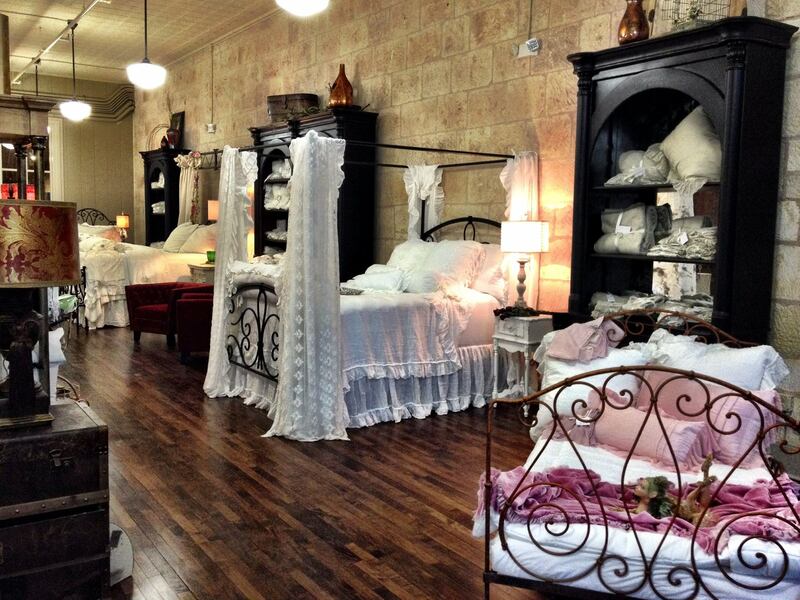 Regardless of what your interest is, or what you’re looking for, you can definitely find it in Kerrville. There’s nothing quite like a Texas hill country sunrise or sunset….or for that matter, the hours in between. After months of being bundled up inside next to the hearth, March is the perfect time of year to venture outside and take advantage of the opportunity to experience the newness of springtime in Texas. Here are just some of the things that Kerrville has to offer you when you are looking for something to do on that afternoon or day off. Whether you are visiting, or are blessed enough to reside here, the Kerrville area is a bird watcher’s paradise. Kerr and Real counties are the best areas to see all four of these rare and endangered species: the Golden-cheeked Warbler, the Black-capped Vireo, the Green Kingfisher and the Zone-tailed Hawk. The Guadalupe River is perfect for water sports. 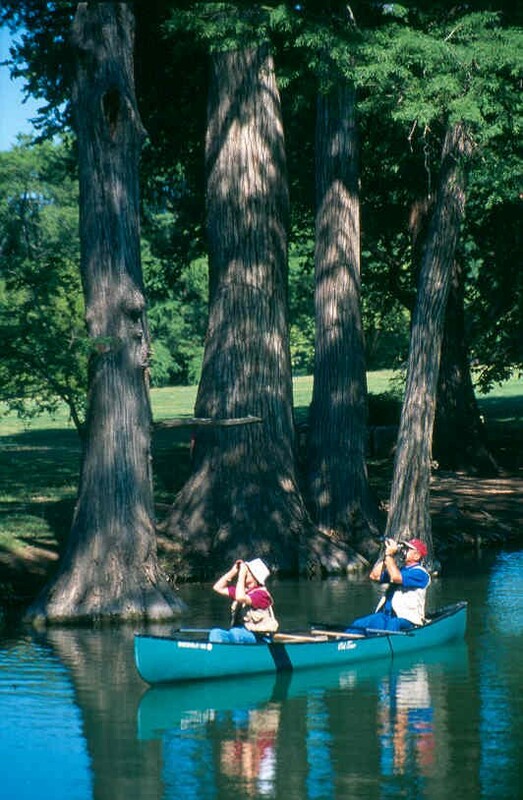 Kerrville Kayak & Canoe Rentals offers rentals and sales of outdoor equipment, river guided trips for fly fishing and tube rentals. Blending cultural history with the area’s natural history, the Riverside Nature Center includes walking paths, a wildflower meadow, butterfly gardens and native plants. The Y.O. Ranch is a native and exotic ranch that spans 50 square miles. It has fifty-six species of exotic game that can be spotted on guided tours. Call ahead for reservations. 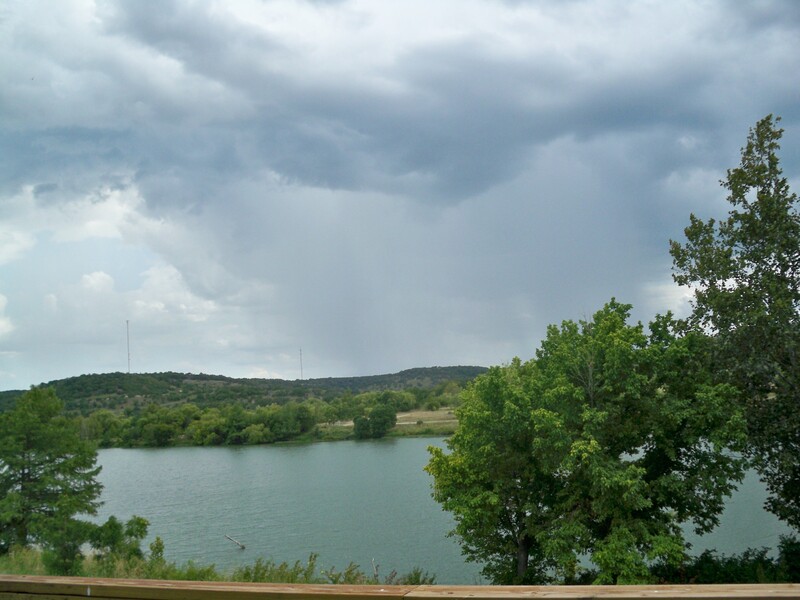 Located on the Guadalupe River, Kerrville Schreiner Park, a 500+ acre park offers hiking, swimming, fishing, and boating. There are cabins, RV, and tent sites available, as well as showers. Located in the heart of the Texas Hill Country, where sparkling creeks meander through the rugged terrain and rolling hills of the Guadalupe River Valley, Kerrville is a natural place to have a great time. 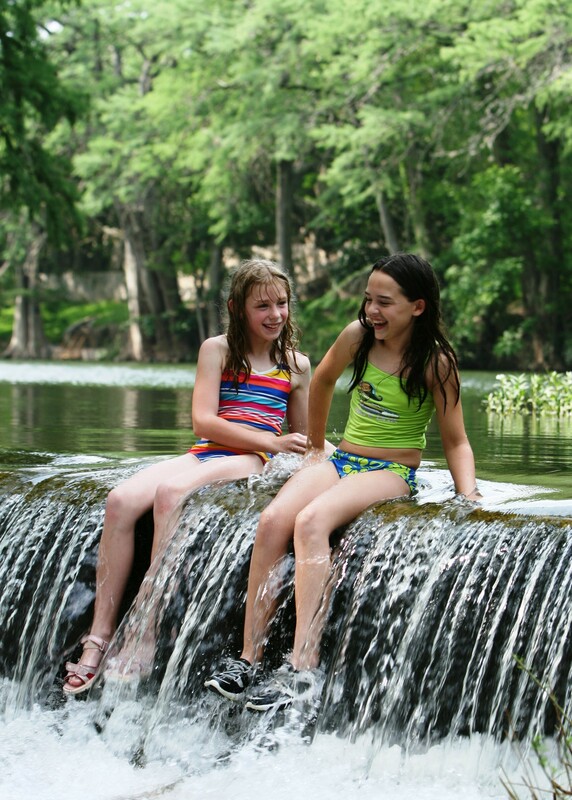 Spring break is right around the corner and Kerrville has a plethora of activities for you to enjoy! We are the perfect place to stay for a fantastic Hill Country experience! About this time of year, we start to daydream about escaping the hustle and bustle, daily routine of our sometimes hectic lives. After months of being cooped up inside, we begin to feel an itch, somewhere down deep in our souls, that reminds us of the lazy, warm summer days of our childhood and beckons us to venture outside. Spring break allows us to scratch that itch, offers us just the needed break, and allows us to welcome and celebrate the changing of the seasons. Whether you’re looking for a week-long adventure or just a quick escape, Kerrville, and the hill country, offer the perfect location for a small, springtime vacation where your only responsibility is to relax, enjoy, and make memories. Whether you are searching for a family outing, a couples retreat, or a girls’ getaway….we have something for everyone. Kerrville offers the perfect, central hill country experience and location, as well as reasonably priced lodging opportunities. Staying with us allows you to enjoy Kerrville’s sights and sounds, as well as those of our neighboring communities, and still return with enough time to relax and enjoy our stunning sunsets. You don’t know where to start? Let us help you! We have put together several ideas that can help you plan your spring break or summer stay with us, and allow you to fine tune your experience, and/or your family’s experience, so that you end up making the best possible memories. Located in the heart of Kerrville, on a former small farm situated on the beautiful Guadalupe River, you can discover the native beauty of the Texas Hill Country and learn about hundreds of unique hill country plants, birds and other wildlife while exploring “God’s country” in a vibrant part of the Texas landscape. There is a unique arboretum with over 140 different types of trees, as well as cacti, glorious wildflowers, shrubs, native grasses, birds, insects and other animals. There are walking trails that will allow you to take your time and lead you through the Nature Center and down to the banks of the beautiful river bank. This amazing piece of art is a must see on any visit to our area. 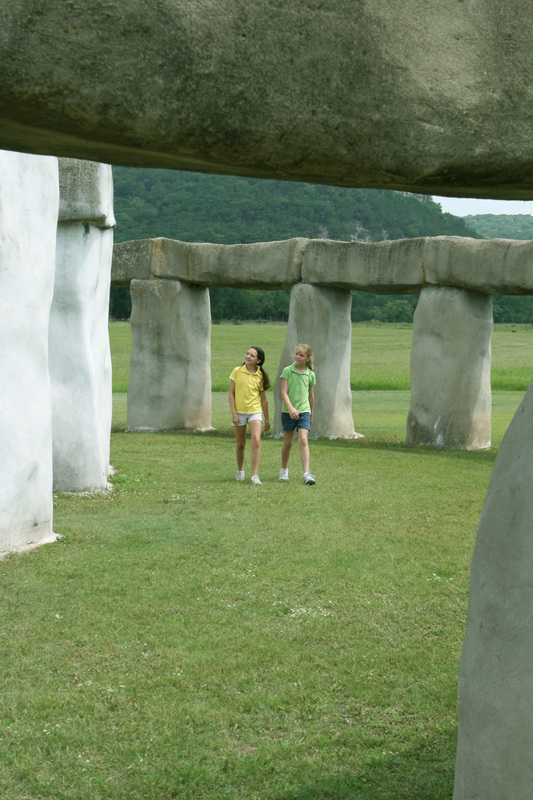 Built as an amusing art project by the late Al Shepperd and his friend and neighbor, Doug Hill, it is not quite as big as the original (located in England), but allows visitors a chance to experience this world wonder without having to travel overseas. The property, which is self-tourable, is open to the public and can be visited 365 days a year. 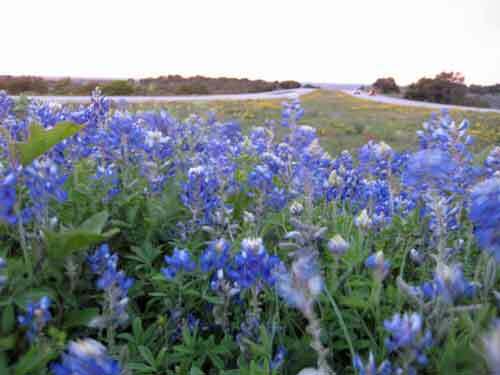 March kicks off the prime wildflower blooming months in Texas, and spring break is the perfect time of year to enjoy driving through Central Texas, home to one of the richest areas in the state to view wildflowers. The scenic hill country’s limestone cliffs, granite outcroppings and hidden springs create the perfect habitats for the vibrant wildflowers to bloom, and the back roads surrounding Kerrville provide the perfect opportunity to experience the wonder of the season. There are several routes that you can take that will allow you to make your way down winding hill country roads, taking you past some of the most beautiful landscape that our country has to offer, through historic towns and hamlets and allow you to experience the breathtaking views that our region is famous for. Whichever route(s) you choose, you won’t be disappointed. We offer maps and materials at our office that can help you plan your ride to insure the best possible experience and memories. While no formal military engagements were noted, the Kerr County area was awash in the blood and terror of the local conflict between Confederates and Unionists during the Civil War era. Hangings, shootings, house burnings, and despoliation of farms were the reality for the families and neighbors of Kerr County and the surrounding area. 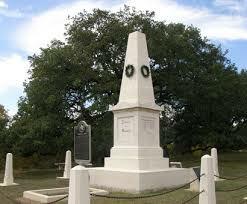 History buffs have a wonderful opportunity to experience a self-guided driving tour that visits many of the sites where Civil War came to the hill country. This scenic 75-mile back road loop begins and ends in Camp Verde and promises to delight all of its travelers.